Before having that, i should have my lunch at first. During lunch time, place was really crowded by customers. Inside this restaurant, sure they are haveing lovely interior theme, with bright soft color and some wooden. It just make it looks like exclusive dining spot but also giving a cosey ambience. Start by the appetizer, i had a fresh fruits salad with tiger prawn. This cuisine sure have nice presentation. 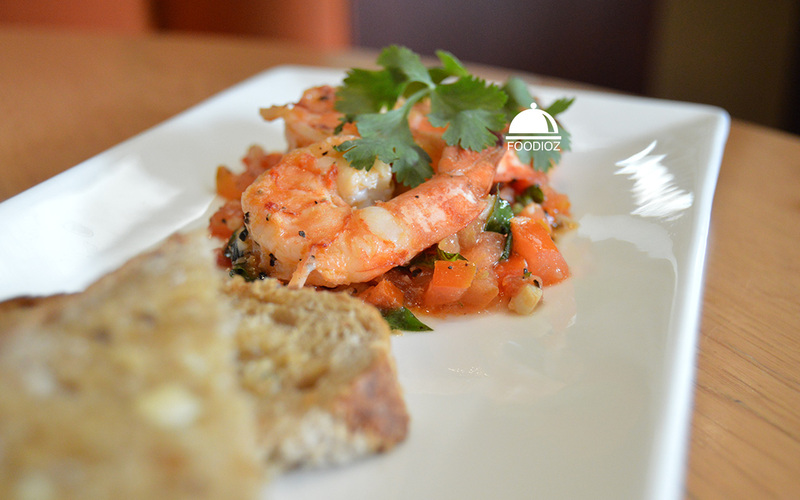 A stunning bunch of prawn topped on cut of colorful fruits and srved along with the toast bread. It has really nice taste. 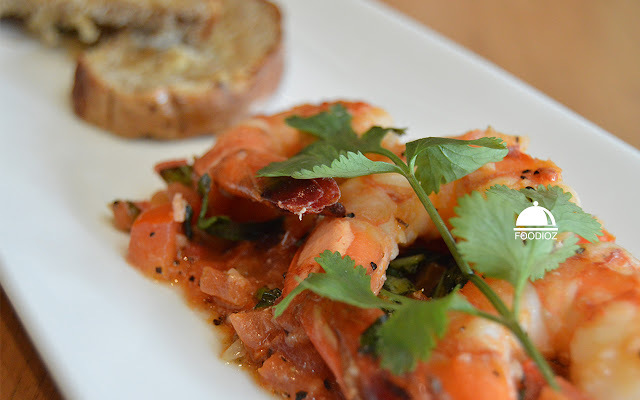 Prawns are cooked well done, nice texture and good seasoning. Mixed with the fruits flavor sure give more eating sense, don't forget the toast bread to balancing the dish. 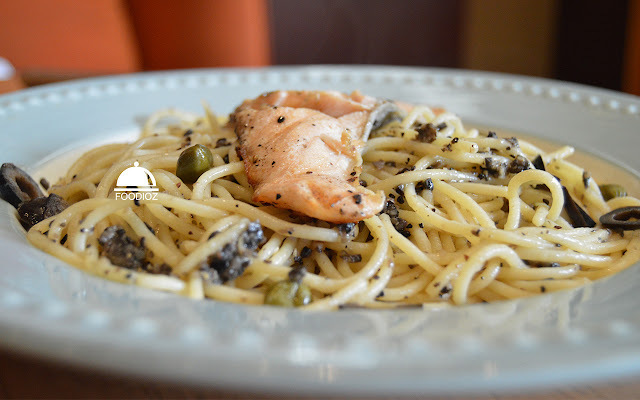 Move on to main course, i had a Salmon Black Olive Spaghetti. A spaghetti poured with olive oil, some of olive cut as well and topped by salmon. Salmon looks splendid in stunning color and pasta seems fine. Exactly i expected, Bakerzin sure served a great pasta in town. Spaghetti cooked well done, and balanced olive flavor blended nicely here. And of course, Salmon is the main here. It cooked nicely and well done seasoning. Pasta doesn't too heavy and i love it. Another main course cames out is a gorgeous Bakerzin Wagyu Burger. 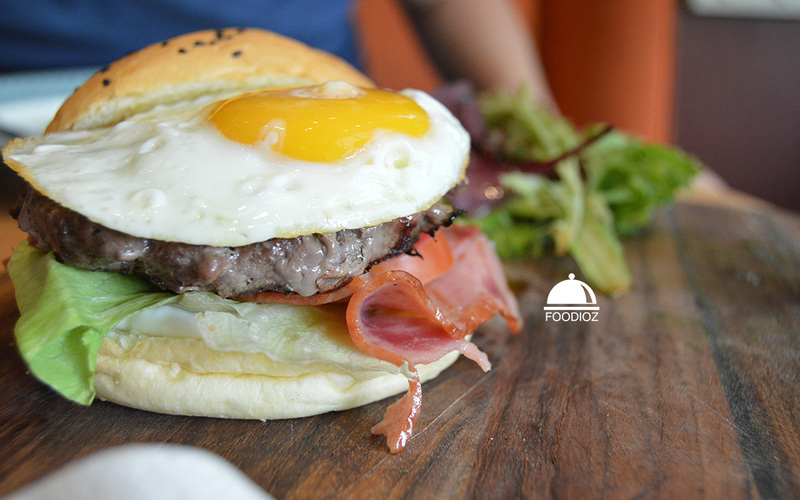 Huge burger packed by thick beef patty, some veggies, Bacon, and fried egg. It also served along with fresh salad and french fries as well. I found it is tasty though. Bun is lovely and nice bite, then patty is tender enough perfect along with the other ingredients. 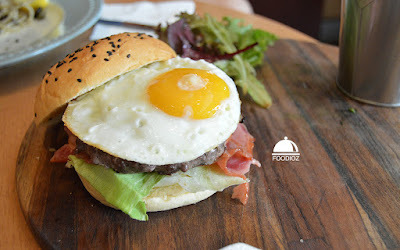 As i am not burger fan, i think it is quite huge portion for a person. It would be better if you order this for share two person. After done the main courses, of course there's a time for dessert. I choose the Bread Pudding. 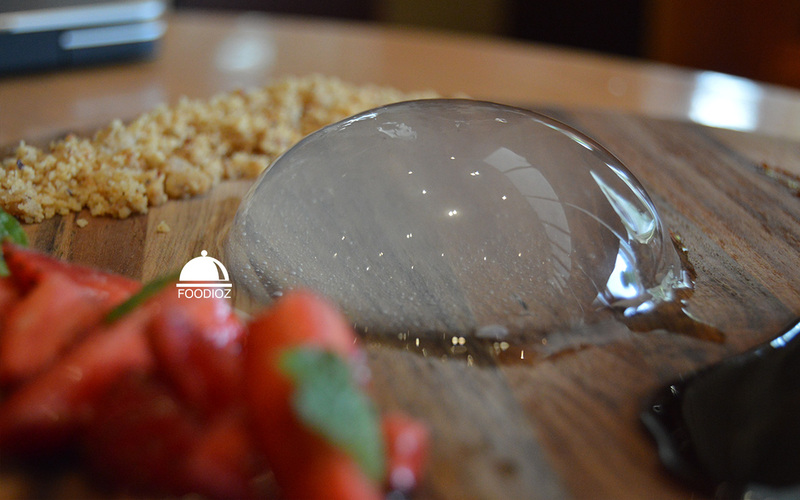 A beautiful dessert in modest presentation and it looks tempting. 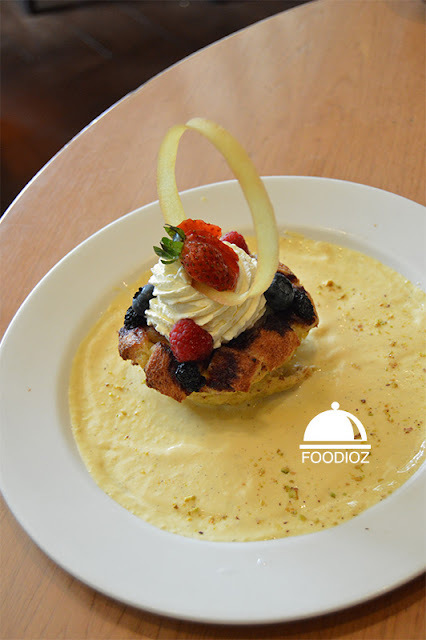 I recommended for this one, nice texture of bread pudding, with balanced sweetness perfect with some sour berries giving a good sense of flavor in mouth. 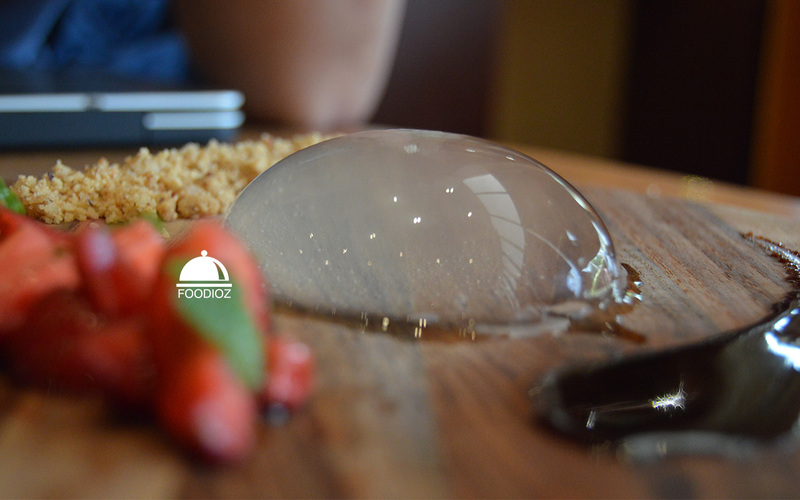 And last dish to have of course the main character here is the Raindrop Cake. Actually nothing unparticulare about the taste. It is a clear jelly with sort of plain flavor, you just need to mixed it with the sauce and crumble to get the delightful taste. But sure you noticd this one it really seduced us alot to taking picture of it. For price, i can't say this is saving much cost. It is about Rp 50,000-200,000 for a dish. 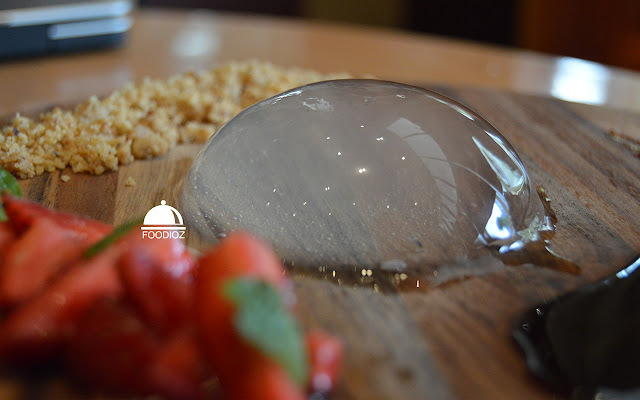 For casual dining, i guess some people would find this is worth it. With those price they sure served real and great foods.